CHEYENNE, Wyo. (AP) — State officials frustrated by a judge’s decision to prohibit grizzly bear hunting in the Yellowstone region and put the animals back on the threatened species list will likely appeal but that’s not their only option to contest the decision. Wyoming Gov. Matt Mead and Idaho Gov. C. L. “Butch” Otter weren’t hinting at their next move Tuesday. Before Monday’s ruling by a federal judge in Montana, the two states planned to let hunters kill up to 23 grizzlies this fall in the lower 48 states’ first grizzly hunt in almost three decades. Stevie said he’s been guiding hunters his whole life and would’ve been glad to help anybody hunt a grizzly bear in the mountains. U.S. District Judge Dana Christensen ruled grizzlies weren’t sufficiently recovered to sustain hunting, pointing out an estimated 50,000 bears once roamed the contiguous states. But Mead, who is finishing his second term and has often described the Endangered Species Act as broken, pointed to the ruling as a reason why. Yellowstone’s grizzlies are a success, rebounding from as few as 136 in the 1970s to over 700 today, he said in a statement after the decision. Besides appealing, Wyoming could now encourage Congress to exempt Yellowstone-area grizzlies from the act as it did with the ecosystem’s wolves in 2011. 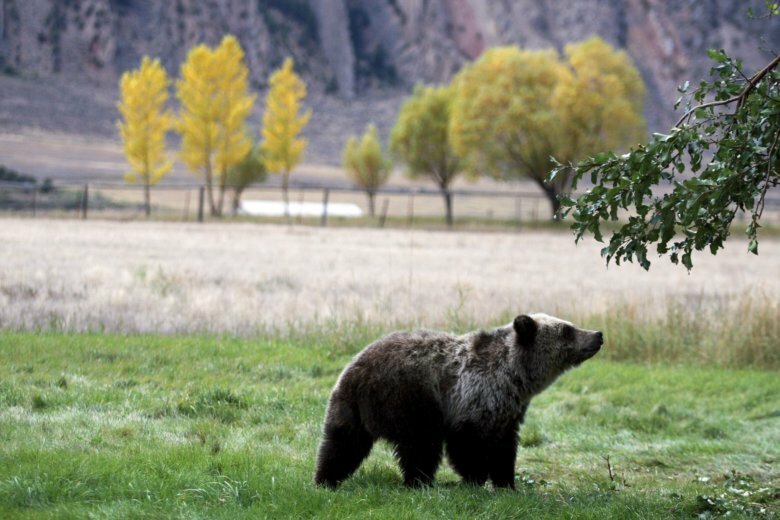 Wyoming officials hinted at that possibility in court filings in the grizzly case while arguing that such an approach weakens the act. “Every time Congress needs to legislate a fix to a recovery effort, the ESA becomes more fragile because it shows that the statute, with its goal of recovery, is not functioning as Congress intended,” attorneys for Wyoming wrote in urging Christensen to rule promptly in their favor. “My bill will stop this abuse of the court system,” Cheney, a Republican, said in a release. Wyoming and Idaho also might choose now to not cooperate with the U.S. Fish and Wildlife Service on conserving species such as the greater sage grouse, a chicken-sized bird the agency decided in 2015 didn’t need federal protections in part because of such coordination. “The citizens of Wyoming have no desire to pay millions of dollars in state funds for grizzly bear management if the grizzly bear will remain forever under federal control,” they wrote. Tim Preso, an attorney with Earthjustice who represented many of the plaintiffs, said Christensen’s ruling made clear that the government had moved too hastily to remove protections because bears are absent from much of their historical range. Matthew Brown in Billings, Montana, and Matt Volz in Helena, Montana, contributed to this report.